If you find that your lower back is aching after sitting down for long periods, it could be because there is too much pressure on your lower spinal discs and tailbone (coccyx). 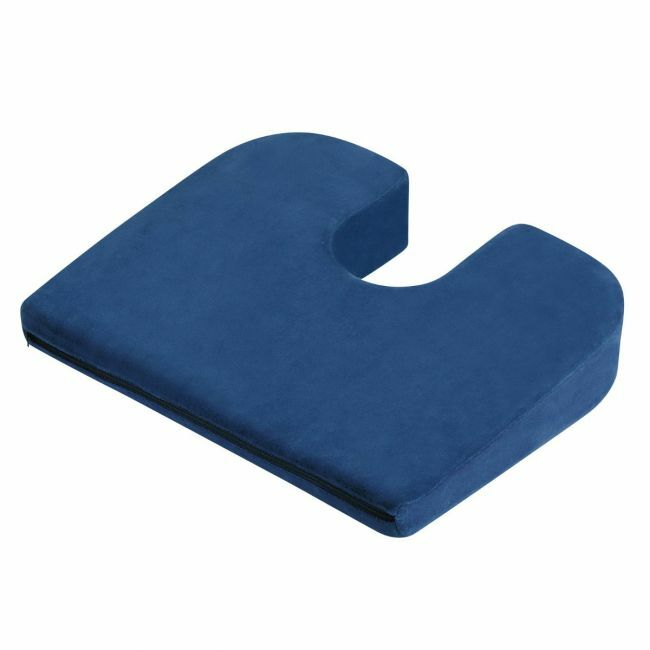 This fully portable, uniquely designed cushion can help relieve that pressure and may help to prevent back pain by suspending your coccyx over the cut out section. The special wedge shape tilts your pelvis forward to restore the natural curve of your backbone. Made from hardwearing and comfortable polyurethane foam. The cushion has a removable zip-up cover and a convenient carry handle It is machine washable.